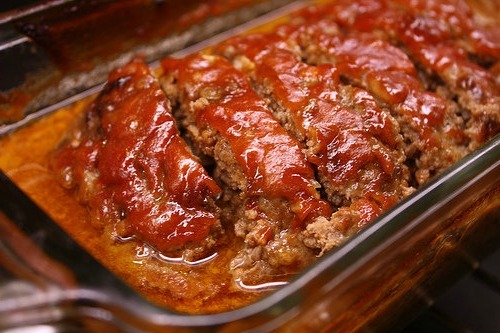 I’ve tried more than one meatloaf recipe in my lifetime and I have found one that my family absolutely loves. Personally, I give this a 5 star rating but I’ll let you be the judge of that. Lightly grease a 5×9-inch loaf pan. In a mixing bowl, mix thoroughly all remaining ingredients and shape into a loaf. Place on top of ketchup.